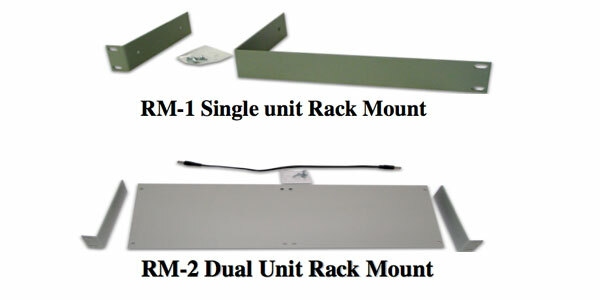 The Tech Works RM-1 and RM-2 Rack Mounting Kits are designed for use with our 1 rack unit high by half rack unit wide products. These are metal components with powder coat paint for use in EIA standard 19-inch equipment racks. The RM-1 includes one Long bracket and one Short bracket and 4 mounting screw to attach the brackets to our DM (Desk Mount) packages.